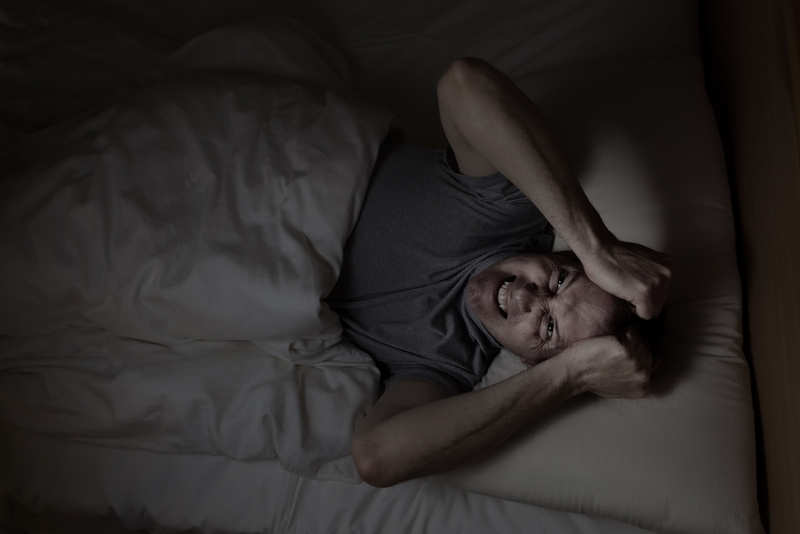 Do you get this odd, creeping sensation to move your legs and arms in the middle of the night? Does the irresistible urge to move your body keep you from reading a book, relaxing in front of the TV, or simply steals your good-night sleep? What you may be experiencing is Restless Leg Syndrome. Also called RLS, this is a neurological disorder that makes your body feel uncomfortable all the time, with constant impulses to move it. Latest research suggests, though, that RLS is frequently misdiagnosed. Suffering from RLS makes your body and limbs – mostly legs – feel extremely uncomfortable. Trying to stay still sitting or lying down is exactly what triggers off the symptoms and prevents you from relaxing. So far, scientists haven’t agreed on what actually causes this unbearable pulling and throbbing in your legs. Many of them start leaning toward the opinion, though, that one cause of this restless feeling in your limbs is related to various venous conditions, such as venous insufficiency and varicose veins. Venous insufficiency and varicose veins develop in your legs for various reasons, but in all cases they are related to non-functioning vein valves. You need your vein valves healthy because they allow blood to flow from the legs toward the heart against gravity, preventing venous reflux (reverse flow). If the valves are damaged or the vein wall is too weak, the blood pools in the legs, which results in formation of varicose veins or their enlargement. Now if you consider that Restless Leg Syndrome mostly occurs in your legs (that’s why they call it Restless LEG Syndrome), and if you compare the symptoms of RLS with varicose veins and venous insufficiency – which are almost identical, you don’t really have to possess a PhD to understand how these conditions are related, and can be easily mixed up or misdiagnosed. Is RLS common? You could say so. Up to 15% of the American population know how utterly exasperating Restless Leg Syndrome is, depriving them of their good night sleep. Same high numbers go for Varicose Veins – estimates say that at least 20 – 25 million Americans have varicose veins, which makes problems with veins one of the most common chronic conditions in North America. What causes Restless Leg Syndrome to happen? Unfortunately, yes. There is evidence that Restless Leg Syndrome is more common and tends to get worse with increasing age. Plus, if your problem is related to some venous underlying conditions, those will definitely get worse over time and can also develop into something much more serious, such as blood clots or leg ulcers. I’m sure this picture won’t bring sweet dreams into your already sleepless nights. The sooner you start treating your restless limbs, the less complicated your condition will be and you can go back to getting some peace and quiet throughout your nights again! How do I treat Restless Leg Syndrome? This really depends on what the underlying condition of your RLS ultimately is – is it a neurological issue or is it related to one of many venous conditions. Obtaining an accurate diagnosis is paramount! Make sure to consult as many medical professionals as necessary to understand what the underlying condition of your restless limbs is and thus avoid improper treatment. Whether you end up needing one of the varicose vein treatments, some supportive medication and compression stockings, or the combination of all these, you definitely need to find the best specialist to treat your condition. And thanks to modern technology, treating varicose veins and venous reflux has become highly effective. The new procedures mostly use laser technologies, don’t require surgery, and can be covered by insurance. You’ll be walking home on the same day of treatment with relatively little discomfort, and most likely sleeping better as a result. If you’ve experienced the restless feeling in your limbs, the best way to start is to have an ultrasound performed to check the state of the veins in your legs or arms. This is a painless, non-invasive and absolutely risk free examination. No preparation is necessary, and you will either comfortably lie in a chair or stand in an upright position (this is to assess the blood flow direction). You will need to find a vein specialist – phlebologist – who will perform a physical examination, using various technological devices Just call and schedule a free consultation. These are all state-of-the-art facilities, with friendly staff and maximum comfort. If your vein specialist finds nothing usual with the current state of your veins, then you’ll have to proceed to look for further help – typically from a neurologist – to discover the exact cause of your restless limbs, which will most likely be related to your nervous system.